1.1.1.1 Last but not least: How to say e.g. 21, 32, 43? Let’s learn how to count in Chinese today. Good news, the numerical system in Chinese language learning is very straightforward and simple! Different from English, it doesn’t require you to count multiples of ten such as twenty, or forty in unique way, and it doesn’t require you to add “-teen” after numbers that come after ten. So don’t freak yourself out, let’s get start! Before continuing, let’s have a basic math quizz! The answer is too easy (1). A genius like you wouldn’t have problem with it. But what’s the relation between math and counting in Chinese language? Well, remember 10 is shí (十)? Now put 1 (yī) after 10 (10 1), what will you pronounce? Guess what, this is how “eleven” is pronounced! “Eleven is written as “十一” (shí yī), which simply combine 10 and 1 together. Same logic for 12-19! Can you count to 19 now? Let’s do a simple math problem again. No doubt, the answer in the blank will be two! Two (2) is èr, and now put a 10 after it, what will you pronounce? This is how we say “twenty” in Chinese! Twenty is written as “二十” (èr shí), which simply combine 二 and 十 together. Same logic for the rest of tens! Last but not least: How to say e.g. 21, 32, 43? For other numbers counting from 21-29, 31-39 and so on, we just need to follow the same logical equation just mentioned. 21 = 2 x 10 + _?_ (二十+?) Put a one after twenty! 32 = 3 x 10 +_?_ (三十+?) Put a two after thirty! 43 = 4 x 10 +_?_(四十+?) Put a three after forty! I guess you already figured it out! Congrats! Now you are able to count from 1-99 following the same system! Wanna take a quick challenge? Challenge accepted? Come and discuss the answer with our tutor and learn more about the different classifiers which are used in Chinese. Sign up our free trial to learn Mandarin and download the Chinese App for more Chinese language materials and to learn Mandarin online. Thank You in Chinese Why Learn Chinese instead of a Chinese Dialect – TutorMandarin Tourists Must Know – Useful Chinese Sentences for Traveling How to Ask Name in Mandarin? Typhoon Season: Preparations That Must be Done. This entry was posted in Chinese Language Learning, Chinese Survival Skills, What's On and tagged beginner, chinese, chinese 1-10, chinese 1-100, chinese numbers, chinese numbers pinyin, count, counting in chinese, how say 99 in chinese, learn chinese, learn mandarin, learn to count in chinese, mandarin, newbie, number, survival. Bookmark the permalink. 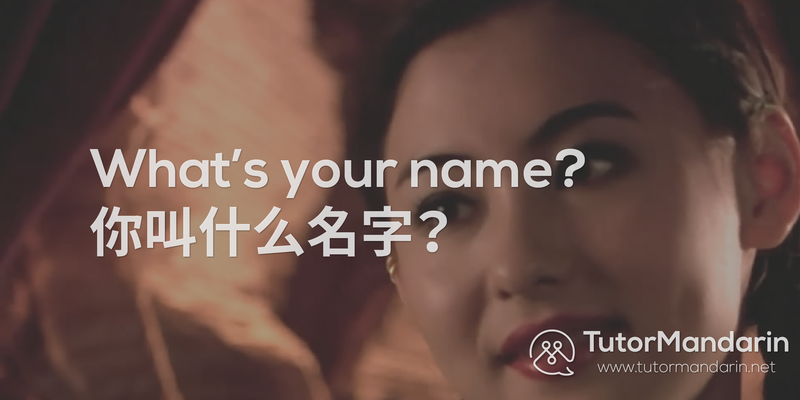 How to Ask Name in Mandarin?